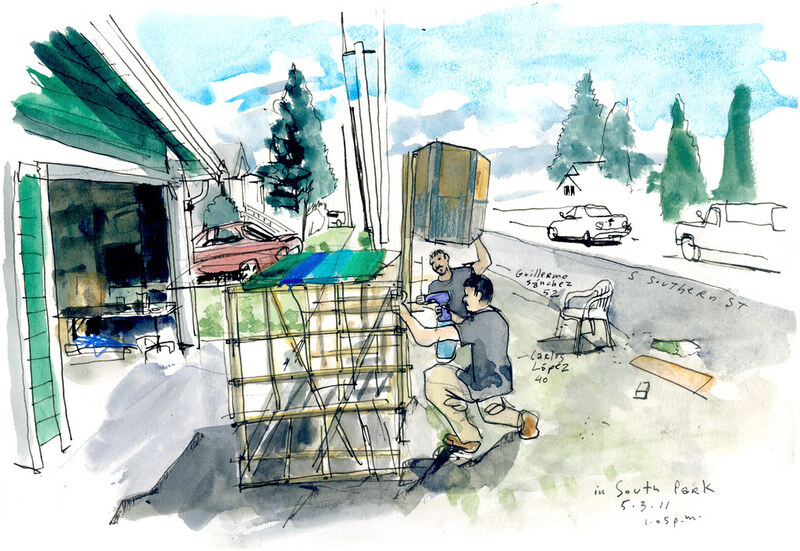 Sketched May 3, 1:05 p.m.
On Tuesday, I stopped by the garage where master craftman Alex López, 47, and a team of volunteers have been assembling a 26-foot-long, bridge-shaped piñata for the occasion. So don’t expect officials and community leaders to be swinging a baseball bat at López’s creation. Instead, they will be pulling strings to unload the goodies: more than 300 pounds of candy, gift certificates, t-shirts and restaurant coupons donated by the community. 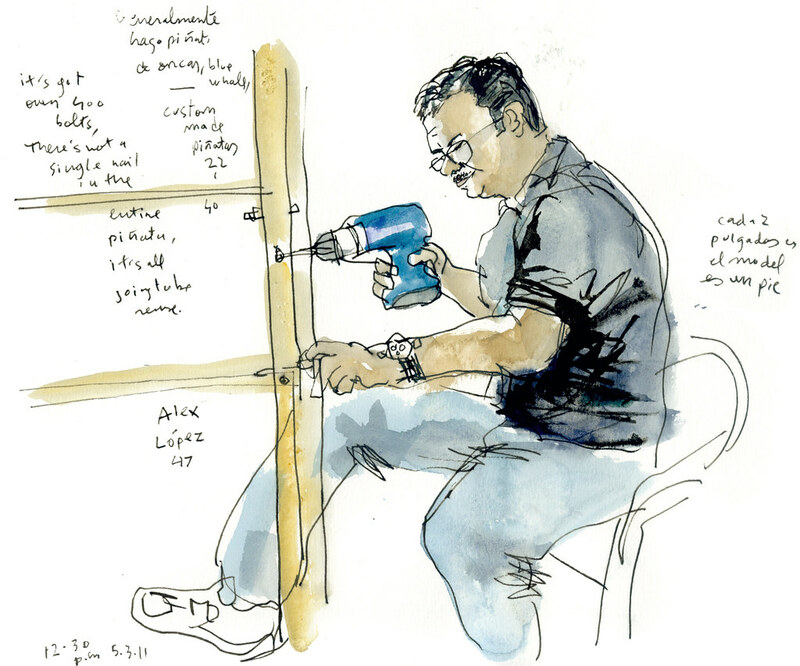 López combines his hobby of making crafts with a full-time job as a regional manager for a tax company. The bridge piñata is the largest he’s built so far. SpongeBob SquarePants, orca whales and Pez dispensers are other popular piñatas he builds on his spare time. Longtime South Park residents Guillermo Sánchez, 52, a roofer, and Carlos López, 40, a painter, have also put in long days for the past weeks to get the piñata done. “We are building community,” said Carlos López. For more information about the Cinco de Mayo festivities in South Park visit these Facebook pages: Neighborhood of South Park, Seattle and South Park Bridge.